Mangaluru, Aug 16, 2018: As a mark of joy on the 72nd Independance day, Mangalore Bicycle Club celebrated in a unique way wherein 72 cyclists from Mangaluru rode for 72 minutes, to pay tribute to the nation on August 15, Wednesday. The cycling was flagged off in front of Mangaluru City Corporation. A few participants from BNI group (Business Network International) along with its Regional Director Ganesha Sharma too joined the ride. Senior cyclist Ashokavardhana also participated in the ride. 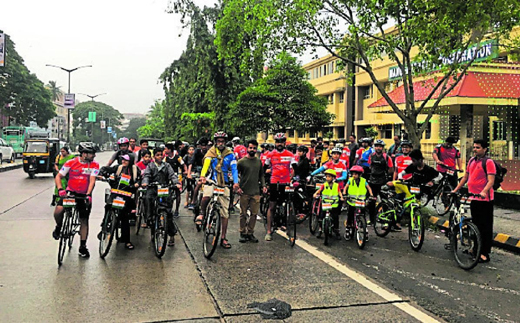 “We peddled with glee and gusto inspired by stories of the Indian Army shared by our own cycling enthusiast Captain Rajaneesh Linekaje, who is currently posted in Kashmir,” said the participants. The cyclists covered a distance of about 20-km in 72 minutes and passed through Urwa store - Ladyhill - Mannagudda - Ballalbagh - PVS - Ambedkar Circle - Balmatta - Kankanady - Mangaladevi - Forum Mall - Hampankatta - Navbharath Circle, before culminating in front of MCC, at Lalbagh. The cyclists were in the age group of 6 to 75 years. All the riders proudly displayed the National Flag on their bicycles full of enthusiasm. 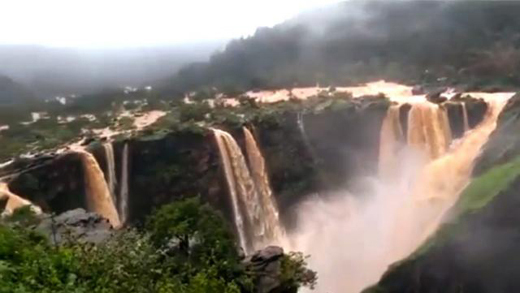 Jog Falls are flowing in full glory after four Years, watch breathtaking Video!